Manchester City whiz-kids Gabriel Jesus and Leroy Sané have been named amongst the twelve stars of tomorrow in today’s edition of France Football. The feature, which adorns the October 31 cover of the publication, highlights a dozen of world football’s elite young talents, also including Kylian Mbappé, Moussa Dembélé and Dele Alli. 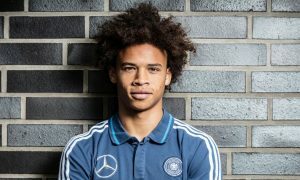 The inclusion of Jesus and Sané, if it wasn’t already obvious, shows how Manchester City have two of the best young talents in the sport on their books – and their combined cost of £61million (add-ons and bonuses in the Sané deal could take that to £70.5million) is looking a snip a year after the two were brought in. There is also an interview with Leroy in which he says “People forget I’m only 21”. The young winger is producing incredible numbers already this season, with 8 goals and 5 assists to his name. Shay Given: Guardiola’s brand of football is so special it’s exciting fans more than just City fans!